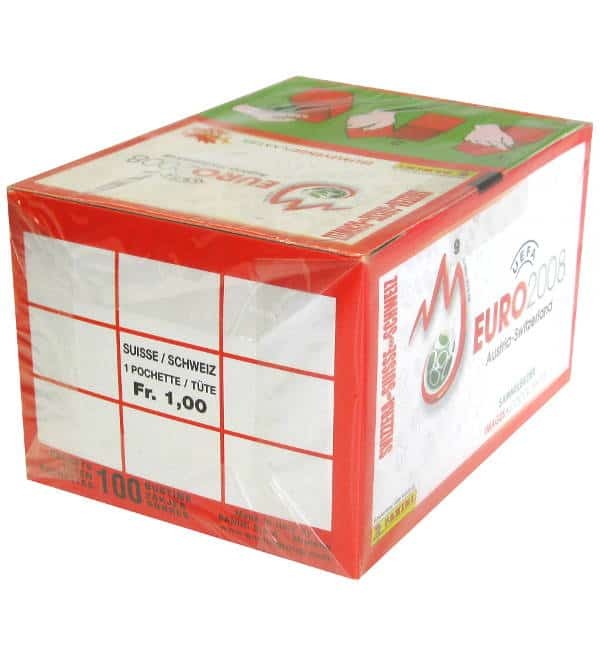 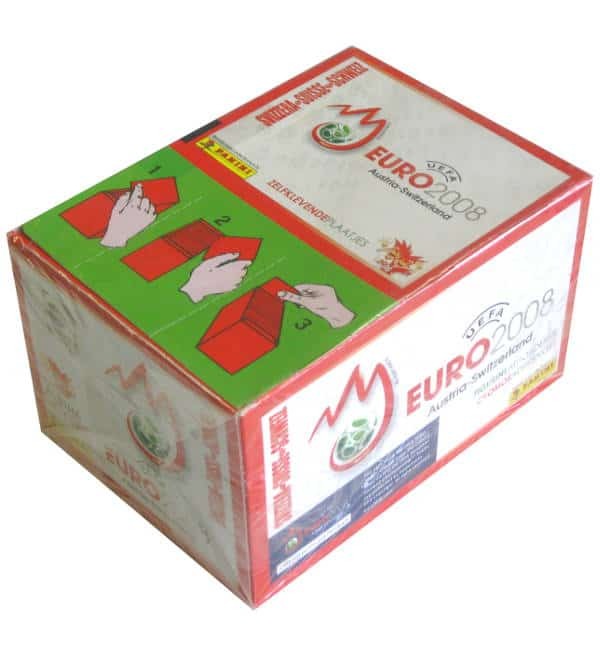 Swiss Version of Panini EURO 2008 box with 100 packets. 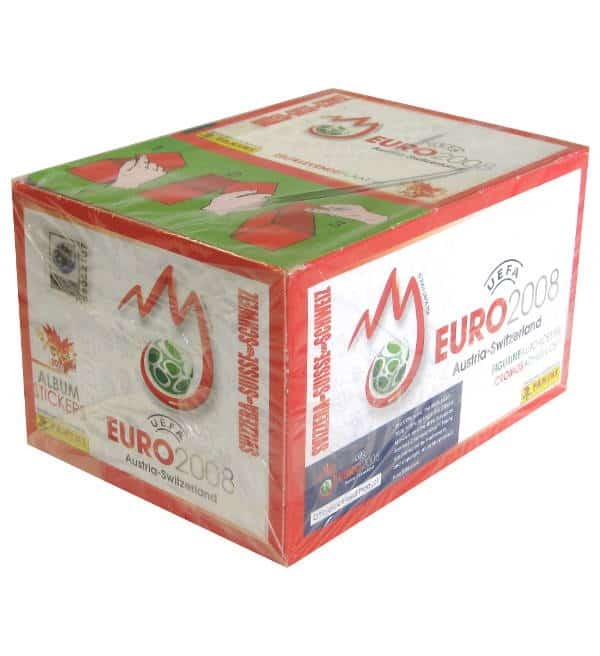 This edition has exclusively been sold in Switzerland. 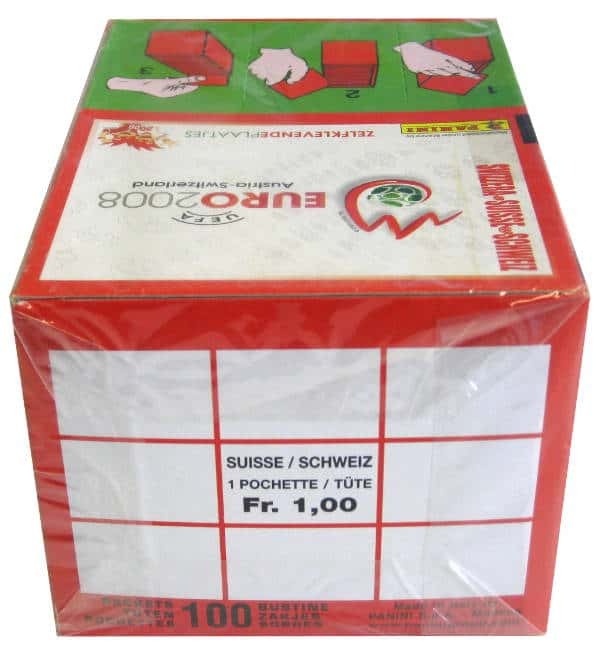 The special thing about it is, that the packets inside the box contain different special stickers (P1 - P20) that fit on a poster which is inside the swiss album only.